Convenient primary care and walk-in clinic! Call (828) 737-7711 to schedule an appointment or request an appointment online. The Baker Center for Primary Care offers same-day acute care (sick or injured) appointments for both new and established patients. The walk-in clinic will operate Monday through Friday from 8 a.m. – 6 p.m. and Saturday from 8 a.m. – 12 p.m. 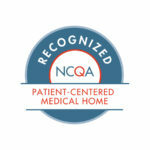 The Baker Center for Primary Care provides accessible, compassionate and high quality care for your entire family. Our providers work with you to ensure that your family’s medical needs are met. We also include you in decision making and take responsibility for your on going care. From your pregnancy, to caring for your infant, child or adolescent and you as an adult and into your later years. We are truly your medical home for all ages. Patients may contact Practice Manager Crystal Blankenship at cblankenship@apprhs.org or call (828) 737-7711 with questions, concerns, complaints or compliments regarding Baker Center for Primary Care.